Laptop Repairs Ipswich by Pc Repairs Ipswich. Offering professional laptop repair services in Ipswich. Malware removal, file recovery and more – we can fix it! Welcome to PC REPAIRS IPSWICH – Your laptop repair specialist…..! You are at the right place to service your laptop with the best price and quality. We provide quality laptop service to the customer with highly professional skilled technicians in the city of Ipswich and surrounding areas. At Pc Repairs Ipswich, We have the best components, software, and experienced personnel to provide you with the best laptop repair service in the Ipswich, QLD. Let us fix it for you. Fast. Easy. Affordable. Pc Repairs Ipswich provide all range of Laptop repairs services, our professionally trained laptop service technicians are well experienced and qualified in troubleshooting and repair all Major Branded Laptops like Dell, HP, Lenovo, Acer, Asus, Compaq, Toshiba, Sony, Fujitsu Laptops and more. We have been providing valuable laptop repair services for over 18 years. We are known for the highest quality on-site laptop repair service provider in Ipswich and surrounding areas. If you find that your laptop need any software installation or any component replacement get in touch with us right now! We are keen to offer you with fast, reliable and professional laptop repairs service in Ipswich. Whenever you need of laptop repairs Ipswich just call Pc Repairs Ipswich @ 97 830 564 956 and get an instant solution. Laptop gone down? Don’t worry! Pc Repairs Ipswich qualified, friendly laptop repair technicians will bring it back to life. We diagnose and repair all laptop issues, from simple fixes at outstanding fixed prices to complex recoveries completed at competitive hourly rates. We’re quick, we’re professional, and we’re convenient. You can come to us, or we’ll come to you. Our call out laptop repairs services are available to anyone in the city of Ipswich. And we don’t charge call out fees. We’ll diagnose most common laptop issues on the spot. Or we can collect, repair, and return your laptop to your place of business or your home. Nearly all laptop repairs are carried out on the spot. We offer the cheapest and fastest laptop repairing service in Ipswich. Pc Repairs Ipswich provide fast laptop repair service in Ipswich with the highest quality standards in the Industry. What information should I include when requesting a laptop repair service? It is important to include as much information as possible in your request for technicians and add a photo if possible. This helps laptop technicians make a more precise proposal about the work that is needed. The more information about the service you can provide the better estimated prices you can receive. What are the most common problems that a laptop repair expert can fix? 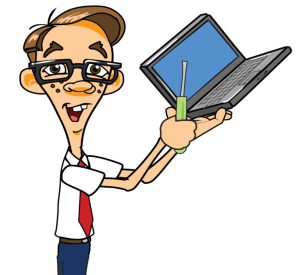 How can I hire the laptop technician I choose? Once you receive the different proposals and have compared and decided which laptop technician you want you should only contact him by phone or email and finalize the details. Remember that the prices sent are estimated and to obtain a complete quote, the technician must know more about the project. What do I do if I need more information about the proposal sent to me by the laptop technicians? Along with the details sent by the technicians, we also send all your contact information. Contact him by phone or email to ask him any questions about the proposal sent. Why Choose Pc Repairs Ipswich? If we can’t fix it, it’s Free! We charge an hourly rate, with no call-out fee. We are Ipswich’s Leading Laptop Repair Experts! CALL 97 830 564 956 TO GET LAPTOP REPAIR SUPPORT NOW! Our Computer Repair Shops in Ipswich is open 7 days per week and can help you fix your laptop problems, as well as our laptop technicians who can do on-site repairs and maintenance at your home or at your Ipswich office and its surrounding areas. DO YOU NEED A LAPTOP REPAIRS IPSWICH? Call our quality laptop repairs Ipswich team right now! Dial 97 830 564 956 or write us Email at – support@getcomputerrepair.com.